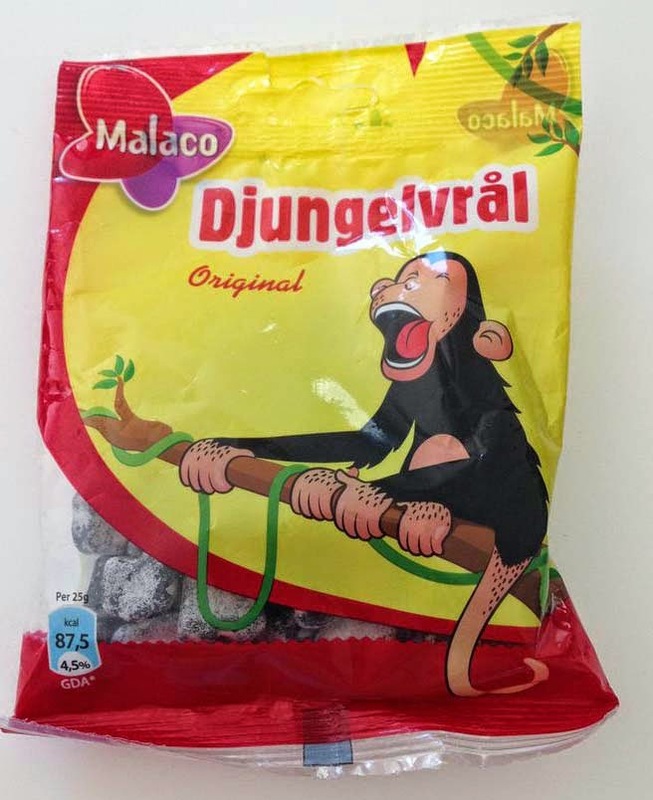 Djungelvrål, meaning jungle roars in Swedish, is a supersalty liquorice. 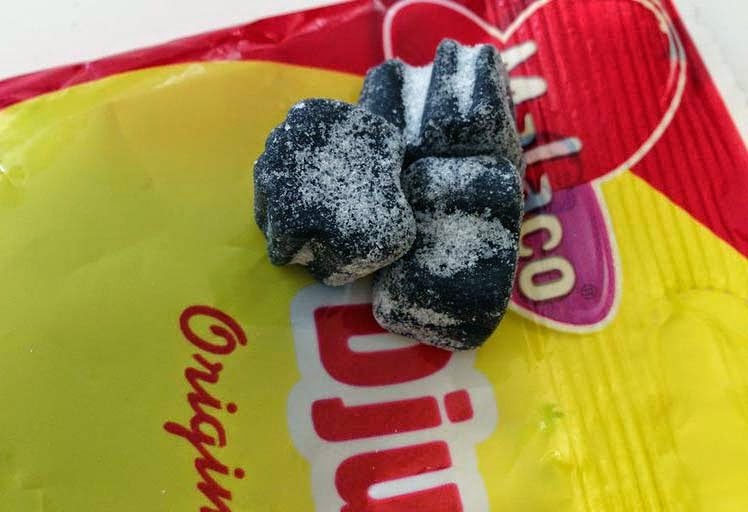 The hard liquorice bits are covered with salt but when the salt is licked off they have a sweeter, caramelesque liquorice taste and they get softer the more you chew. After a few you get thirsty so I glass of milk is a good companion to Djungelvrål. If you try them be prepared they are REALLY salty and if you're not use to salty liquorice it may take some time to get acquired to the taste.